Theresa Phua, Singapore head of HR, at DBS Bank, explains how to create an enabling environment for people to embrace digital innovation. 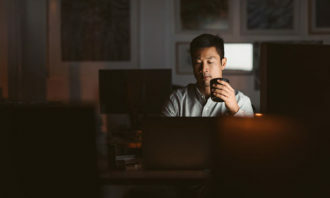 The banking industry, like others, is being profoundly impacted by emerging technologies and changing customer expectations. Fintechs and non-bank players the likes of Alibaba, Apple and Samsung are attacking the financial services value chain, and disrupting the business models of traditional banks. DBS’ future success depends on our ability to harness the digital revolution, re-imagine the role of the bank and redefine the customer experience. Live our PRIDE! values – being purpose-driven, relationship-led, innovative, decisive, and embrace everything fun! Collaborating with other functions, HR plays a critical role in helping the bank execute these priorities, while positioning DBS as the ‘university of talent’ in the financial services industry. The challenge is to future-proof our 22,000 employees across multiple markets. The way we work and our career development programmes have to create an enabling and empowering environment for change. Learning at DBS has become more experiential through hackathons, human-centred design and agile methodology workshops. In 2015, more than 2,000 DBS employees have benefited from this across the region, and more than 1,000 experiments are being run. In these sessions, employees learn to understand the customer’s job-to-be-done, their pain points, and to prototype quickly and test solutions. In 2015, more than 2,000 DBS employees have benefited from hackathons, human-centred design and agile methodology workshops across the region. 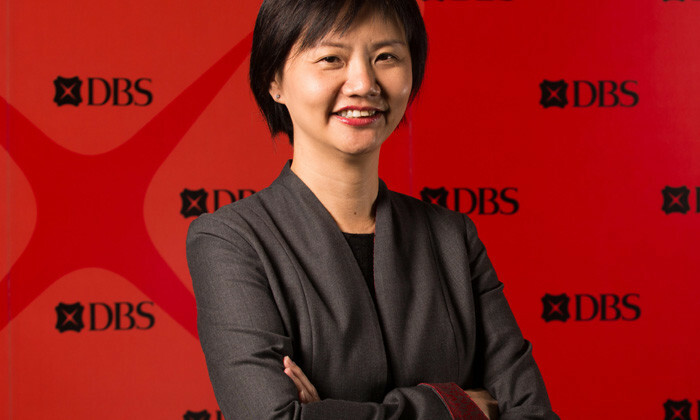 DBS is one of the first banks in the region to build and use in-house human-centred design and user experience capabilities. By adopting such methodologies to embed ourselves in the customer’s journey, we have launched a slew of innovative digital offerings such as DBS PayLah!, DBS Home Connect, and more recently DBS digibank, India’s first mobile-only bank. Employees with a business idea can participate in DBS HotSpot, our pre-accelerator programme that nurtures digital startups including fintechs. Last year, several staff went on paid sabbatical to develop their ideas and undergo training, in addition to receiving mentoring and gaining access to a network of influential entrepreneurs. One employee’s startup we had incubated is Crux, which developed a tool capable of analysing news data in multiple languages in Asia. Another is Cinch, an integrated financial management system to help SMEs manage invoicing and cashflow. 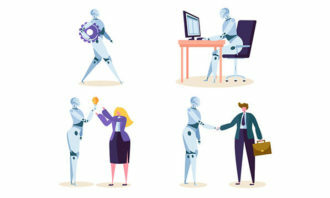 Employees are also exposed to the latest technology through external collaborations, one of which is with Agency for Science, Technology and Research (A*STAR). Our HR team, for instance, worked with them to develop a data analytics model to make better hiring decisions. 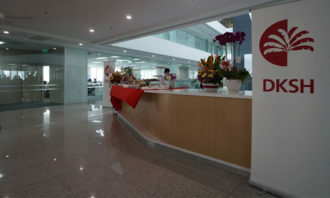 We established DBS Academy in Singapore, Indonesia and Taiwan to help our employees continuously develop their skills. One employee’s startup we had incubated is Crux, which developed a tool capable of analysing news data in multiple languages in Asia. In 2015, about 129,000 training days were undertaken by employees. Each year, the bank conducts close to 15,000 training sessions, with a growing number of these being digital courses. This year, we are developing thought leaders to drive the digital agenda in the bank. Complementing the Academy are online learning resources such as iGrow@DBS, a career planning portal based on a 4Ds approach: determine profile; discover opportunities within the bank; develop skills through DBS’ courses; and decide on career plan. We also facilitate learning-on-the-go and at one’s own pace through mLearning that includes two online libraries, Harvard ManageMentor and Intuition KnowHow. Recognising that our talent values new experiences, we have an internal mobility programme that facilitates transfers to other departments or to DBS’ six key markets. About 26% of jobs were filled by internal transfers in 2015. We have also introduced DBS SkillsFlex to complement the Singapore government’s SkillsFuture courses aimed at upskilling the workforce. All employees in Singapore ranked senior associate and below will receive SGD 500 DBS SkillsFlex Credit annually for customised courses. Eligible employees can also use these credits for SkillsFuture courses, many of which are digital-oriented. Recently, DBS Bank won the I-Future award at TAFEP Exemplary Employer Award 2016, as well as the best candidate experience by a corporate HR team at the Asia Recruitment Awards, reflecting the relevance of our initiatives. New research suggests many companies in high-growth markets like China and India should tailor their HR strategies to local busine..
PepsiCo’s CEO Indra Nooyi believes sending a “report card” to her employee's parents helps boost engagement levels. Do you agree f..